You've already worked hard to find the perfect partner Let's plan your perfect wedding. Overwhelmed with all the details & decisions? 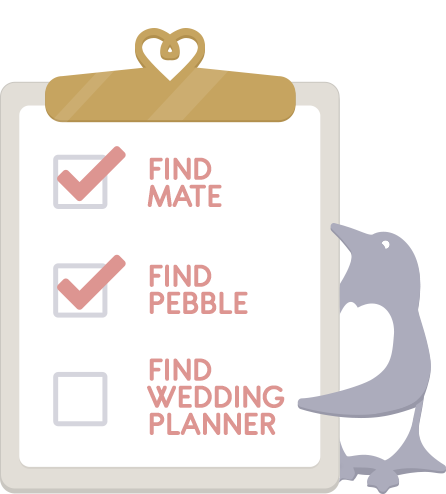 The Perfect Pebble will be your partner, guiding you through each detail to realize your dream wedding. Whether your style is on the beach, in a church, or themed in a meaningful way for you and your fianc‌é, we are ready and willing to help wherever you need it, to ensure you have a one-of-a-kind event as you start your married lives together. Day-of, partial and full planning packages. Free, no obligation consultation! Contact us today to get started. Packages for every budget, from full service to day-of coordination. We’re available to answer your questions via Facebook Messenger any time or send us an email.